Cobalt Blue Workshops invites you to their 4th Art Walk & Activity Meet-Up with Sundeep and Ruchi. It's a therapeutic experience called 'The Art Of Seeing' to be held at National Museum. The theme this time is "Women in Mythologies." From Mohini, Mahisasurmardini to Saptmatrikas, there is a whole constellation of feminine divinity within these mythologies that guide society. 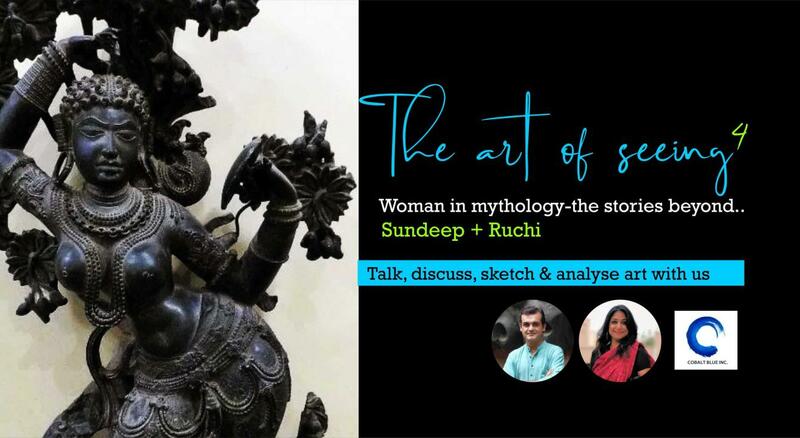 You will discuss the stories and symbolism of these goddesses and female deities through the ancient sculptures and artwork, do some fun activity followed by Q&A.